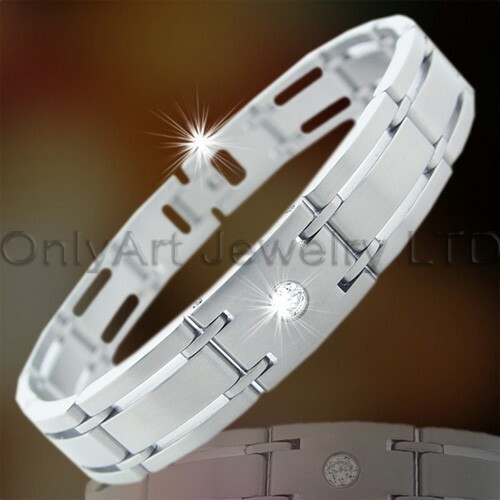 ﻿ 2011 Hot 316 Fashion Bracelet OATB0011 manufacturers,2011 Hot 316 Fashion Bracelet OATB0011 exporters,2011 Hot 316 Fashion Bracelet OATB0011 suppliers,2011 Hot 316 Fashion Bracelet OATB0011 OEM service. 7. We are the manufacturer for stainless steel jewelry,Warmly welcome customers to visit and contact us, we will offer you the best quality products, reasonable price, And the most sincere service. 9) We are the manufacturer for stainless steel jewelry,Warmly welcome customers to visit our website and contact us, we will offer you the best quality products, reasonable price, And the most sincere service.Why choose us: Several years'jewelry expriences; Best services; Top quality products; Fast delivery!We are professional jewelry maker in Guangdong,China. With the development of nearly10 years, we have more than 100 skillful workers (contains 5 creative designers) and covers 1,000 square meters of workshop now.Nowadays, our business line includes pendants, rings, earrings, bracelets, jewelry sets with more than 1000 products. 1.There is low mininum quantity requirement for buyers. 2.You can get the factory direct prices, the lowest ones possible. 3.We can do production as per your design too. Your designs will be protected by our company to ensure that no unauthorized person has access to your designs. 1.T/T or Westen union ,paypal,Moneygram are accepted. 2. Deposit should be received before production, and balance to be paid prior to delivery. 3.Shipment advice will be sent to you after shipment arranged within 24 hours. We have prompt delivery and considerate service after sale. Our business goals: Best metal, excellent quality, exquisite workmanship, prompt delivery, satisfying service! Copyright © OnlyArt Jewelry Company LTD All rights reserved.